final touches, originally uploaded by seamonkeylifeboat. there are more pics and adventures to share without respect to actual timelines, but for now we're moving on to heading back to maharashtra to put some final touches on the tasting room for our opening party. 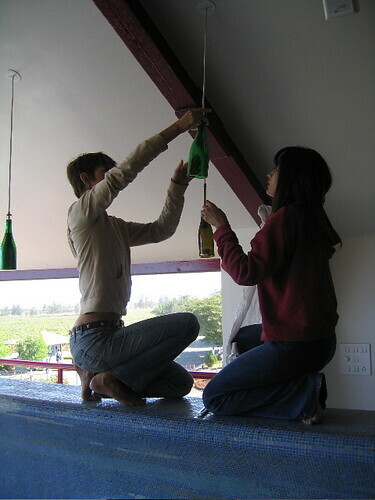 here priya (one of our favorite indian friends) and i clean the bottle lamps above the bar.